Seeing an advert in the Broxtowe Matters magazine made me choose John Flynn Optician. They are a friendly, efficient and modern practice. I have visited other opticians, but this one stands out above the rest by a huge amount. My new glasses look good, fit well and are comfortable. My eye examination with Dr. Janjua was the most comprehensive I've ever had using state of the art equipment. Everyone at the practice helped to assist and relax me during my visit. I will highly recommend to my friends. I chose John Flynn Optician as I had used a high street optician before and for several reasons had never felt like my glasses were right for me. I decided to look for an independent optician that was local to me and luckily John Flynn's is only a short walk from my home so very convenient. The minute I walked in I was made to feel very relaxed and welcome. The staff and the shop itself just ooze old fashioned service standards without being stuffy or pretentious. Dr Janjua gave me the most thorough eye examination I have ever had and took his time to get things just right. I was in the chair for a long time but this was testimony to his standards and he wasn’t going to let me go until he had my prescription spot on. Then came the task of choosing some frames. This was no mean feat considering that Dr Janjua had recommended that I would benefit from wearing my new glasses all the time. I felt quite self-conscious and awkward as its not easy to pick something that you’re going to have on your face all the time, I didn’t want to play it safe or go too whacky, This is where Dan, Wendy and Annette came in. The selection and quality of frames is fabulous. The whole process became a team affair and we ended up having quite a laugh in the process, even drafting in the advice and opinion of two optical lens representatives who happened to be there at the time. Everyone made it easy to choose and I am now in possession of my new specs. I have to say, I have never been happier with a pair of glasses. The lenses feel perfect and work so well for me and the frames are so comfortable but also look good. I have had lots of positive comments and I have told every single person where I got them from. Thank you to all of you for such a positive experience, I will be back year on year and won’t hesitate to recommend John Flynn Optician to anyone. I have been with John Flynn Optician for many years. I love the personal service you get from them and I now only go the John Flynn's. My new glasses are great - very light weight. The eye examination with Dr. Janjua was very professional as was the service from the rest of the team. I was recommended to go to John Flynn Optician by family members. I love everything about the practice and I will now only ever use John Flynn's. The glasses are well made, well fitted and I can see much better. My eye examination with Dr. Janjua was very informative and he put me at ease - very good. All the team at John Flynn's have treated me well and I cannot fault them. I'd heard that the glasses were great quality and the service was great at John Flynn Optician. The staff have been very helpful and gave me all the facts I needed. I love the personal touch and that you don't have to ask for help - it's just given. I love my new glasses - the style, the colour, the quality - everything. Dan and Annette have been brilliant from the minute I walked in the door. They are very friendly and provided perfect service in every way. I will be coming back and will share my experience with others. I have been going to John Flynn Optician ever since I have needed glasses. They have good service and compare well against other opticians. I like the style, shape and colour of my new glasses. The eye examination with Dr. Janjua was explained clearly and the rest of his team are friendly and make you feel at ease. Friends and people I know had told me how satisfied they were with John Flynn Optician, so I thought I would give it a try. I do not think my experience could have been bettered by any other practices. I refer of course to the service and advice of the optician given to me two years ago at this practice at which time I was suffering with cataracts, and under his directive, I received hospital appointments where they were removed o.k. Dr. Janjua once again gave me a good examination. He, like myself, was happy his last examination and my requirements had been correct. The practice's team are very good. They are welcoming, happy and helpful. They are a pleasure. I would like to thank John Flynn Optician and Dr. Janjua for the care and patience you took over my glasses. When the first relevant lens turned out to be slightly uncomfortable despite the prescription being correct, your careful discussion with me and subsequent amendmet to the prescription made all the difference. Many thanks to Dan and Wendy too, who also contributed to the discussion and gave me the best care. 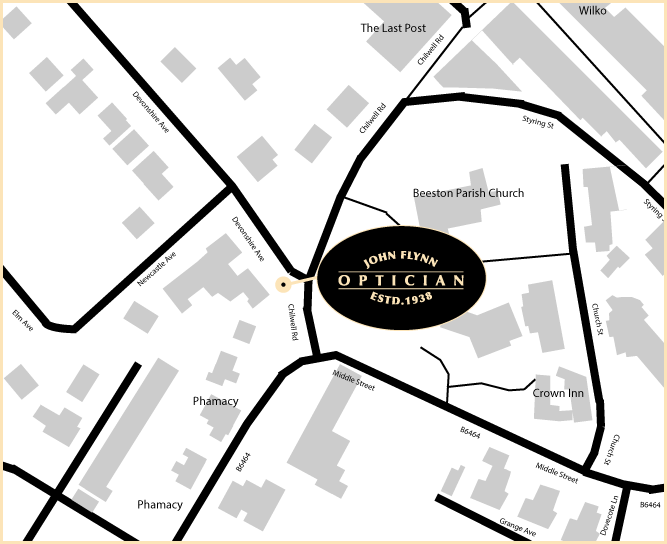 John Flynn Optician have friendly and knowledgeable staff who take their time to help with frame choices. It's a local opticians with a large selection of frames and a fast service. My glasses are perfect and fashionable. Just what I wanted. The exam with Dr. Janjua was very professional and thorough. He takes his time to explain everything whilst being friendly and kind. I wasn't happy with my previous glasses from another opticians and wanted to move to a more local optician. My husband recommended John Flynns who he has been very happy with. The practice feels very down to earth and unpretentious. They sell designer brands, but unlike other opticians, the people are not designer, which is more relaxing and unpressurised. I do not tolerate varifocals, but had never been offer bifocals before. The bifocals from John Flynn's have solved this problem. Dr. Janjua has been determined to solve my prescription problems which I hadn't managed to get resolved at my previous opticians. He gives plenty of time and really seems to care about getting it right and finding the best solution for me. The team is very friendly and make me feel comfortable choosing and sorting out difficulties with my lenses. They always call to update progess of when my glasses will arrive. 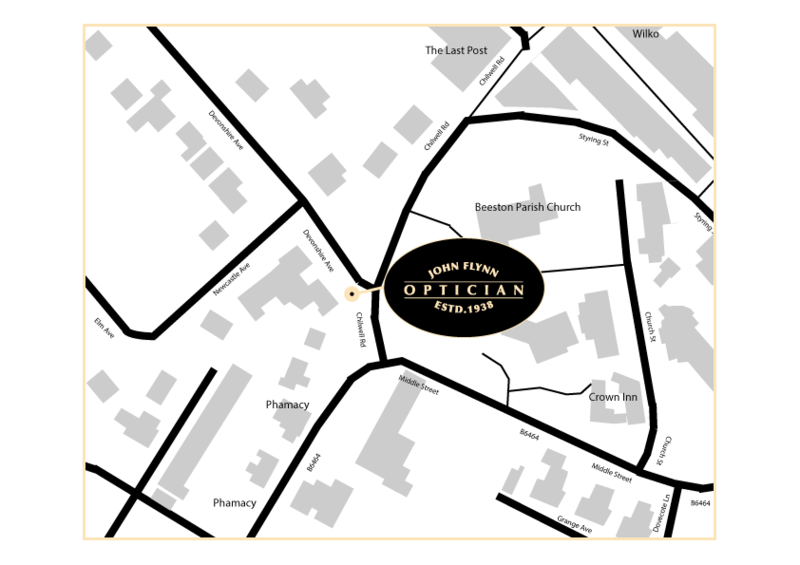 I chose John Flynn Opticians through seeing an advert and also the convenience to where I live. The practice is bright, spacious and peaceful and all the staff are very welcoming. I get to see the same staff and optician so there is excellent follow up. My new glasses improve my vision and the frame suits me well. My eye examination with Dr. Janjua was very thorough and I had time to ask questions and I was given explanations when needed. Wendy was very pleasant and helpful and put me at my ease. She had good advice about the lenses and frames. Dan fitted my spectacles so that they were very comfortable. I came to John Flynn Optician through a recommendation from a friend and have never been to another opticians. My eye examination was thorough and explained to me very clearly. The team at John Flynns are very helpful and cheerful. Carry on the good work. I met Dr. Janjua through a routine eye examination at his other practice, Gray & Bull. 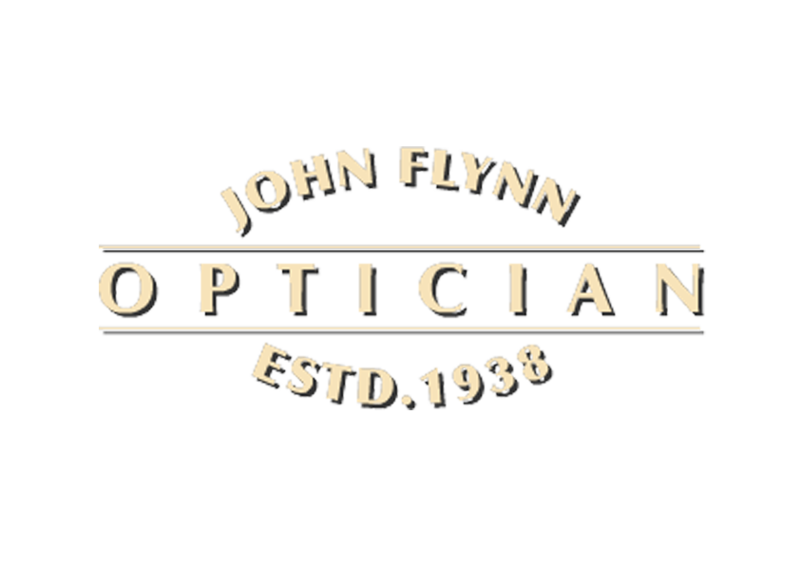 John Flynn Optician are very helpful, friendly, trustworthy and professional and always give you time. After retinal/cataract surgery, Sheeraz was/is extremely understanding and knowledgeable and always had time to see me, something I did not experience with other opticians. My new glasses are very comfortable and the thin lenses are very important to me. They always have a good selection of fashionable glasses. Dr. Janjua's eye examination was very thorough. He explains eveything and puts me at ease. Sheeraz has a very calming influence which I appreciate very much after a lot of eye surgery. I would recommend anyone to go and see Sheeraz. He is a fantastic optician. The team at John Flynn's are very friendly and approachable. They are all a credit to Sheeraz's business. The team are fantastic and I would always recommend anyone to use this opticians. In my mind, Sheeraz will always be "optician of the year". Thank you to of you. I met the optometrist, Dr. Janjua during my eye test at his other practice in Nottingham City Centre, Gray & Bull. I liked him and trusted him too, that's why I chose this time to come to John Flynn Optician. I like their old school customer service. They have plenty of choice of frames and the team there are friendly and professional. I instantly felt at ease. Very thorough and staff are always happy to help. I love my new glasses. They are a lovely colour. I had the lenses made very thin which is important to me. Dr. Janjua is very friendly, helpful and professional and always happy to help with any issues you may have. Good advice given when picking new frames, but the staff were never pushy. Wendy and Annette are lovely ladies and are a credit to the business. Thank you to all of you. Much appreciated. I choose John Flynn Optician as I always feel they give better attention. I have never been to another opticians as John Flynn's do the trick. My eye examination with Dr. Janjua is always very good and the rest of the staff always give me 100%. Thank you! We have attended John Flynn Optician for some years and I have never been to a different optician. My husband was originally recommended to the practice by our G.P. The practice staff are very efficient, friendly and helpful. I have 3 pairs of glasses from the practice. My eye exam with Dr Janjua was calm, reassuring and very thorough. Professional, friendly and personal attention guaranteed. Receptionist is always welcoming, with expert advice regarding choice of frame. Dr. Janjua is highly recommended. I chose John Flynn Optician as various friends of mine spoke well of them. I like the personal service and the fact that I am seeing the same people each time I visit. I found John Flynn Optician to be more friendly and thorough than other opticians I have been to. Dr Janjua and the staff at John Flynn’s are very polite and provided me with excellent customer service. They helped me pick some FaceaFace cat eye frames that were a bit different to the norm which is exactly what I wanted! They explained all lense types to me so I was able to make an informed decision. I much prefer supporting an independent business and receiving quality customer service to being passed between different staff members like you get at the high street shops. In my opinion there is no comparison between John Flynn’s and other opticians. I highly recommend them and I shall be back for sunglasses! I have attended John Flynn Optician since my eyesight needed glasses (1960's). I have always been satisfied with the service and have never been inclined to move. All members of staff are polite, obliging and have a sense of humour, which is so important. When I first required the services of an optician I selected R****** in preference to one of the larger chains of opticians. I stayed with that practice when it became part of L******** & T*****; but when their customers were taken on by V***** E****** I wanted to return to a small chain or independent optician and selected John Flynn. The experience at John Flynn is more thorough than that provided at R****** / L******** & T*****, and their is a greater use of specialist equipment. The guidance to select the most appropriate lenses is very much appreciated, and the choice of frames is more than adequate for my needs. I have used John Flynn Opticians for many years since I moved to Nottingham. My new lenses with the better peripheral vision are great and worth the additional expense. Always helpful and pleasant staff.